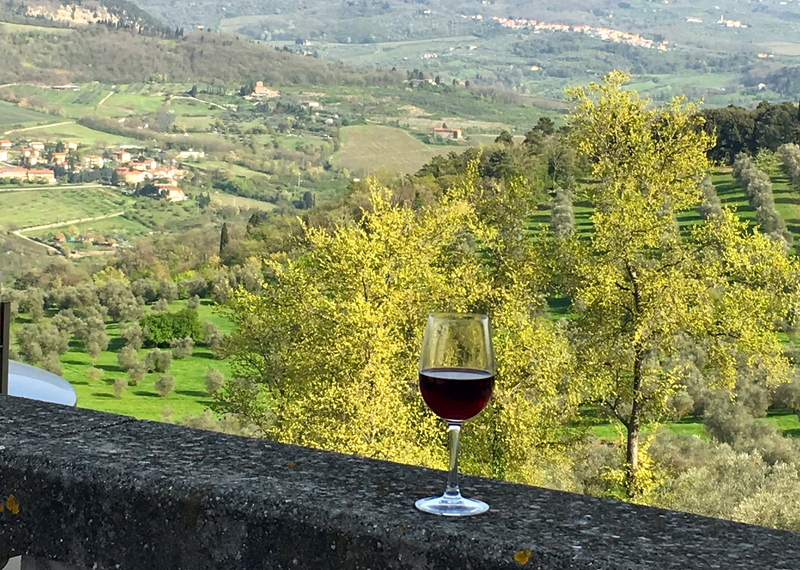 In less that 30 minutes from the heart of Florence will take you to a private historical manor in Chianti Colli Fiorentini: Castello di Volognano, a miniature medieval hamlet with it’s own winery. 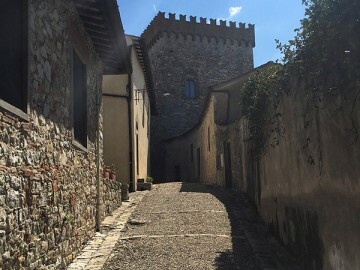 first, a visit to the courtyard and the working winery, with its own museum of traditional agricultural tools, fermentation tanks, ageing barrels and the old wine cellar, where the traditional “vinsanto” – the most precious of all Chianti productions – is still made the old fashioned way. 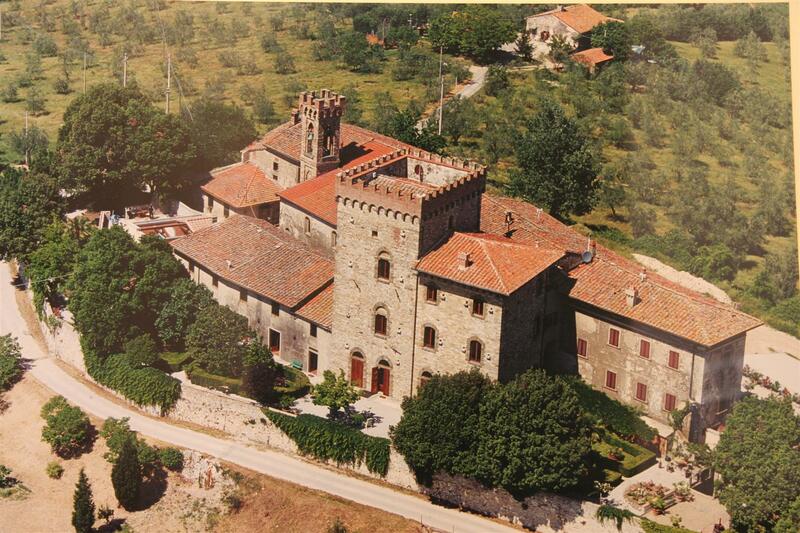 Then, the oldest part of the manor (XI century) will be opened exclusively for you to share a lunch or a dinner: a unique elaboration of traditional Tuscan cooking – all strictly homemade from scratch – while enjoying a tasting of the different wines produced, as well as Volognano’s extra virgin olive oil. The atmosphere is magical and exclusive, yet informal. The castle is furnished with original antiques, some of which of notable value, in perfect harmony with the style of the manor. 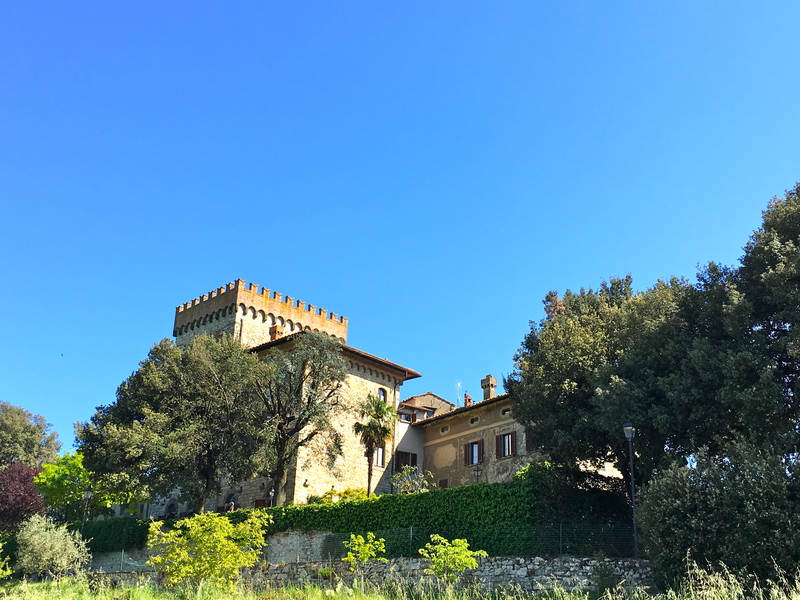 This hamlet dates back to the XI century, and over time hosted illustrious people from the times of Dante and Petrarca, and in more recently times Gioacchino Rossini, Giosuè Carducci and Enrico Fermi. The ancient castle, carefully restored, also offers gorgeous suites and rooms and a private swimming pool for a memorable holiday, and its unique location and gardens make it the perfect venue for weddings and exclusive events. Camilla is a rare example of winemaker involved in all stages of winemaking – planting, harvesting, blending, label designing, marketing: commitment without compromise to the quality and uniqueness of her family winery. A graduate of the Università degli Studi di Firenze with an undergraduate Viticulture & Enology and master degree in Enology, she has been Wine instructor, Wine Department Chair and Academic Coordinator of Food and Wine Studies at Apicius – International school of hospitality in Florence, traveling multiple times in USA to promote the Italian lifestyle trough food and wine, collaborating with the James Beard foundation in NY, and several American Universities. Today Camilla is the Academic Programs Coordinator at Gambero Rosso in its headquarter in Rome, the undisputed leader in the World in what concerns the so called “Saper vivere Italiano”, Italian Food, Wine and Lifestyle. Gambero Rosso is the Number One Multimedia Company in Italy, always at the forefront in discovering and launching new trends and strongly involved in Promoting & Supporting the best of “Made-in-Italy”. For 30 years Gambero Rosso has contributed to the achievement of the best Italian cuisine and wines, combining tradition and novelty, authenticity of raw materials and production innovation. She is also Mentor for Startupbootcamp FoodTech which is the leading accelerator of startups supporting and scaling companies innovating and disrupting the food industry where she is mentoring in everything related to food and wine management, business model, international education. THE BOOKING DEPOSIT ON ALL TOURS IS 25€. Our “satisfied, or the tour is on us” policy applies to this tour too!